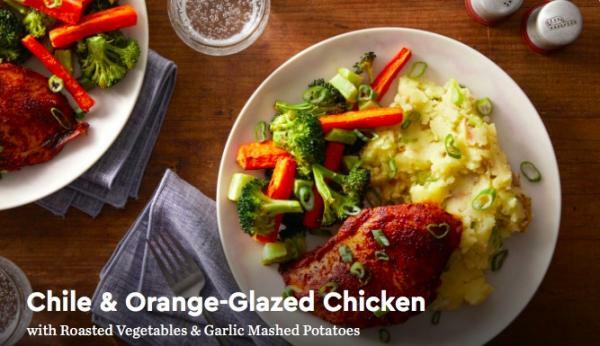 Blue Apron is a delivery service that sends you a box of pre-portioned meal ingredients, with recipes: meal kits. A friend sent me an invite to take advantage of a 'three free meals from Blue Apron' offer. It cost me $14, but compared to their usual $65.94 - three meals for 2 people - ($10.99 per serving), it's close to free. And by the way, I could have ordered the wine to go with each meal for $10 per bottle. I was fascinated to see two scallions sealed in their own plastic bag labeled 'Scallions,' two carrots in a 'Carrot' bag, and so on. For each meal there is a little brown paper bag labeled 'Knick Knacks' that contains the smaller ingredient amounts, such as a little bottle of balsamic vinegar and a packet of dried red pepper flakes. The whole thing was packed in a cardboard box lined with a shiny bubblewrap envelope, and there were two big chunks of ice that would keep it chilled for several hours. Long term, it would be important to look into how to recycle all the packaging. With this one time thing, we plan to put the shiny bubble wrap thing in one of the cars in case we forgot to bring a cooler to put groceries in between store and home, and I'll use the little bottles that held vinegar. None of it is pre-prepared. Their ads and literature promote the idea of families working together to do the prep and cooking. The time saved is from not having to come up with menu ideas and recipes and shopping. I like the idea of trying recipes and ingredients I wouldn't usually consider, for example, the fennel. I've tried it before, but maybe I didn't have a good recipe because I found it underwhelming. This is fennel's last chance to impress me. The food is portioned out, so it would be hard to overeat unless one person bought the two person plan just for themselves. 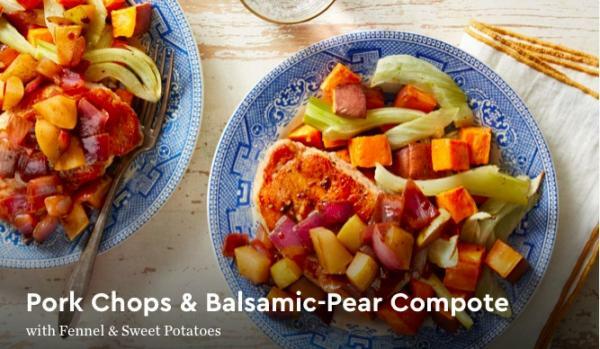 And one of their themes is meals that are compliant with "the Whole 30 diet plan - a 30-day meal plan that emphasizes whole foods and eliminates sugar, alcohol, grains, legumes, dairy, and soy." 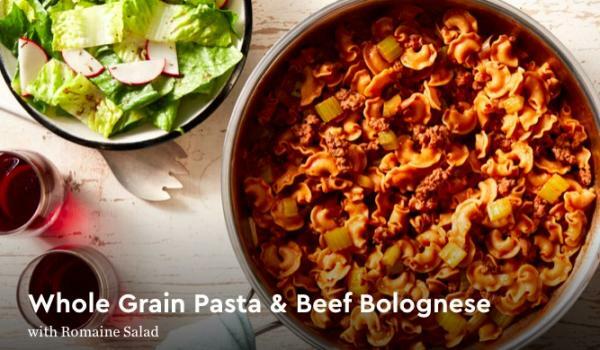 If I was planning to change my eating habits in this direction, having meal kits to demonstrate how delicious it can be would be a good jump start. I don't mind grocery shopping. It's the cooking I hate to do. This was definitely all about the cooking, and I felt like I had to do it just as they said to in order to get the full experience. How does it taste? 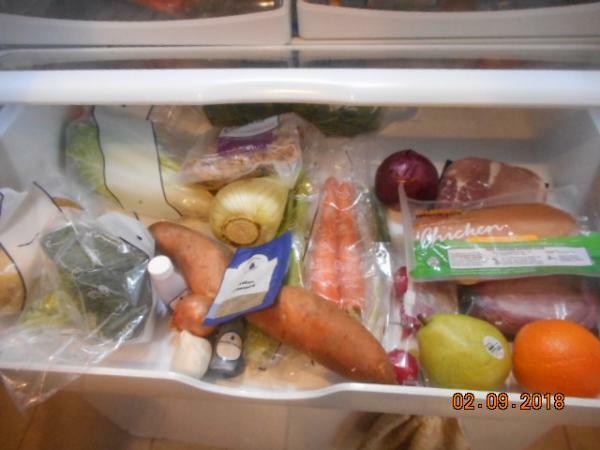 I am so sick of thinking of what to cook. However, blue apron sounds about as expensive as eating out, if you do not eat at fabulous places. I followed their recipes to the letter, and it tasted like somebody else's cooking - in a good way. Left on my own, I use the same seasonings and touches all the time, so it never seems new. I thought about referring to their menus online to get inspiring ideas, but it's pretty much plain food with touches of special spices. Definitely too expensive for people who don't have real jobs. A friend gives me her unused Blue Apron items. I tried a local outfit that prepares heart-healthy meals. We'd meet halfway so I could get the several I ordered. (They don't quite deliver to my island.) Then I tried an on-line outfit, and those meals were marginal too. And there were little add-ons -- apple sauce, packets of this or that, that accumulated and I threw out eventually. So I am back to my usual shopping, cooking, and trying to keep Ed from eating too much meat, which ain't easy because I can't control his lunches. And I'll suggest a fish entre and he'll say, yeah, okay, but he's not happy. I can see some value to subscribing to something like that for a time in order to learn that healthy cooking can be tasty and special, but I know I'd soon feel constrained by it, especially if it didn't cover all the meals, so I'd have to shop anyway. I have wondered what Blue Apron was about. That's underwhelming, that they don't cook anything for you. The recipes had better be bitchin. To me, the advantage is the little dabs of exotic ingredients and seasonings that I would get to try out without investing in a whole bottle of it, and to some people balsamic vinegar might be considered an exotic, or maybe there'd be white wine vinegar and all I ever buy is red wine vinegar.